My friend Shilpa from Our External World invited me to participate in her Valentine’s Day contest. I decided to take part with a DIY tutorial, so I created this bracelet you can now find on my online shop on etsy. The winners were two and I was happy to share my victory with my friend Puja. 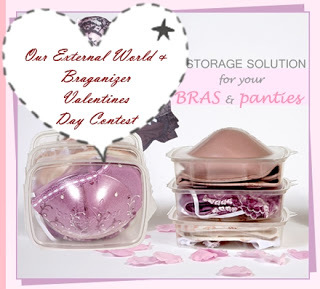 My gift was two pieces of braganizer, a storage solution for bras. I kept one of them for myself and I gave the second one to my best friend. This is the bracelet I created for the contest. Visit my online shop on etsy to see more of my creations.